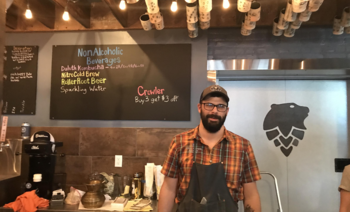 Ursa Minor Brewing had a major debut on September 26, 2018, and it has been a long time coming. 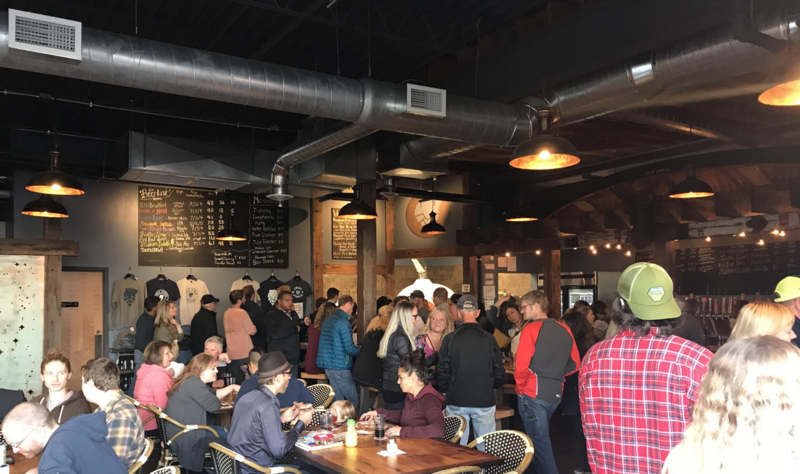 Owners Ben Hugus, Mark Hugus and Andrew Scrignoli worked nonstop for over three years to realize their dream of opening a local, craft brewery in Duluth. We spoke with the Ursa Minor team back in April (check out the blog post), when preparations to open the brewery were in full swing. Today, we were just happy to catch a few moments with the guys amid the excitement and chaos of the first few days in business. How are things going? How did the final push to launching go? Things have been pretty crazy. Fun and exciting, yes, but a little crazy. We put in a lot of 18+ hour days to make sure all aspects of our brewery met our high standards. That means we are confident that our beer and food menus are going to knock your socks off, that our taproom is an open and welcoming space for everyone to enjoy, and that the business behind the scenes is run smartly and effectively. That means that we, as owners, had to expand our areas of expertise. We’re strong believers in setting the foundation with education, so we set out to learn everything we could. In the months leading up to opening, we became construction works, human resources professionals, brewers, managers, accountants, marketers and more. We couldn’t have done it without the help of some truly great partners. 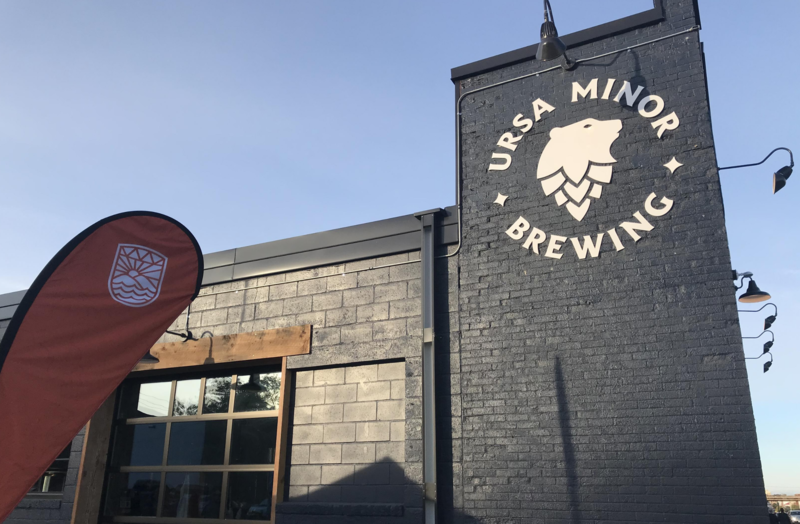 What resources did you tap (pun intended) to ensure Ursa Minor Brewing had a powerful opening? We had lots of help along the way. We relied on each other, our friends and our family to prepare the facility for the public launch. We also worked with banking partners, the Northland Foundation and the Entrepreneur Fund to get our financing squared away. Working with the Entrepreneur Fund opened doors to resources and education that changed who we are as business owners. The services we received gave us access to learning opportunities in HR, accounting and marketing, which are all so important for running a strong business. They also helped us refine our long-term vision for the brewery, so we could move from being homebrewers with a crazy idea to strategic entrepreneurs with the ambition to grow. Without guidance from some really great industry professionals, we might be floundering right now. We’ve also gotten to know a lot of other local business owners through Advancing Lincoln Park. Those connections have been a huge driver for us. We want to do our part in growing this incredible neighborhood. Any sage advice for aspiring entrepreneurs? Be prepared to learn a lot, really fast. As a business owner, you’ll be working long hours and you’ll have to handle way more than you ever expected. Opening a brewery has kind of been romanticized, but there is a lot of behind the scenes work that goes into making that dream a reality. You have to be so passionate about what you are doing, and that definitely includes making good beer to get this far. Passion is everything. Make sure that your passion doesn’t get lost along the way. 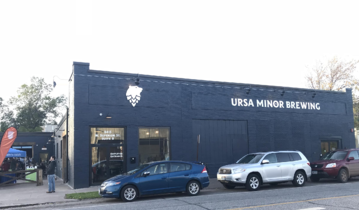 Be sure to check out the new Ursa Minor taproom at 2415 W Superior St in Duluth and visit their website at ursaminorbrewing.com.